Pastor Sharlene is Co-Founder of Jubilee Evangelistic Ministries, Inc. J.E.M. was established in 1992. It was organized to function as an outreach ministry and the parent organization for the expansion of various ministry outreaches. In 1994 she helped pioneer Jubilee Christian Center where she faithfully Pastors, along with her husband Apostle Frank Fullwood, and functions as the Church Administrator. 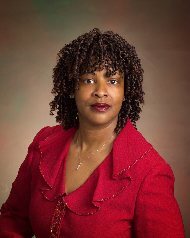 She also Co-Founded and is the Vice President of Nehemiah Community Development Corporation. It is an economic development and social community based organization that addresses crisis needs within the community. Pastor Sharlene operates in the five-fold ministry. She is a gifted prophetic minister who operates in an accurate and penetrating word of knowledge and prophecy. She ministers under a powerful breaker anointing, ministering deliverance and healing into the lives of the people. She is an anointed prayer warrior & intercessor. Pastor Sharlene is also an author. Some of her books include “God Reveals His Glory in the Earth” & “And The Two Become One”. She is the founder & President of Throne Room Ministries. It is a ministry to train and equip individuals in a lifestyle of holiness and integrity. Its goal is also to activate others in prayer and prophetic intercession. Pastor Sharlene also has a heart for marriages and the Lord has used her to facilitate unique Marriage Enrichment Seminars. Pastor Sharlene is a graduate of Widener University with a Bachelor of Science in Nursing; a graduate of The New Life Theological Seminary with both a Master of Theology & Doctorate of Ministry degrees and a graduate of Christian International School of Theology where she obtained a Master of Christian Counseling degree. She also received training from Rhema Correspondence Bible School. She is the proud mother of a beautiful daughter named Destine’.